Ariff Abdul Sabit has emerged the winner of the 2018 National Essay Competition in Ghana organised by UBA Foundation, the corporate social responsibility(CSR) arm of the United Bank for Africa (UBA) Plc. He carted away 5,000 dollars grant towards his university tuition. Sabit, a student of Presbyterian Boys Senior High School, Legon, clinched the first position at the grand finale, which was held on Monday January 28th, 2019 at the Bank’s Corporate Headquarters at Heritage Towers, Ridge, Accra, Ghana. 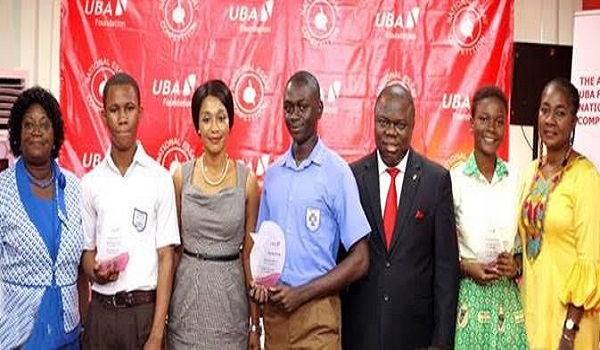 He beat 9 other finalists selected from various essay entries received by the UBA Foundation from students of senior secondary schools across Ghana. Ten final essays were shortlisted from the total entries received from all over the country, and the essayists had the opportunity to write a second essay which produced the winning entry. It is important to note that Presec Legon also produced the winner of the fourth edition which took place last year. Manasseh Sampana Nam-Mahime from St. Thomas Aquinas High School and Nana Adwoa Quayson of Aburi Girls Senior High School emerged second and third position respectively in the competition, winning an educational grant of 3,500 dollars and 2,000 dollars to study in any University of their choice across Africa. 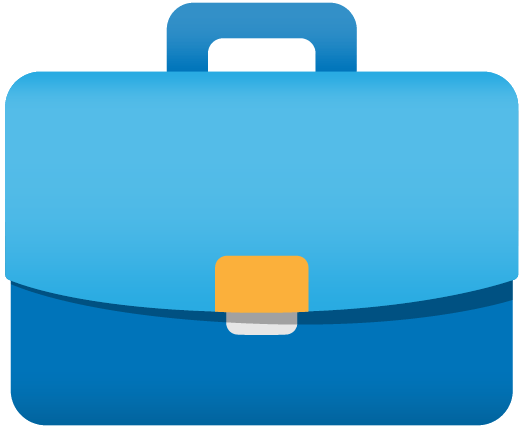 This brings the total number of students sponsored by the bank to 15. In addition, each of the 10 finalists were also given a brand new UBA branded laptop to assist them in their studies and help them excel in their educational pursuits. The Managing Director of UBA Ghana, Mr. Isong Udom, who congratulated all 10 finalists and especially the three winners, encouraged them to invest their time and energy in their education. He said, “This annual competition is one of our most cherished initiatives as a bank. UBA Foundation believes that the future of Africa lies in her youth. For this reason, the Foundation will continue to invest and facilitate educational projects to bridge the literacy gap on a Pan-African scale. “We see you all as an integral part of our success story, so we entreat you all to be good ambassadors of the UBA brand,” he said. The Deputy Minister of Education, Mrs Barbara Ayisi Acher who was the special guest of honour, applauded the bank’s effort in sustaining the scholarship programme for the past five years. She urged other financial institutions and companies operating in Ghana to emulate UBA’s shining example. On her part, the Director of Secondary Education Division, Ghana Education Service (GES), Dr Angela Tena Mensah who commended the foundation for encouraging students to read and hone their writing skills, noted that this year’s topic, ‘Law enforcement a responsibility for all,’ was important at this time when lawlessness seemed to be spreading rapidly. The National Essay Competition, a Corporate Social Responsibility initiative of UBA (Ghana) Limited after its launch in Ghana in 2014, has provided a competitive platform to develop the intellectual and writing abilities of students in Ghana. The Competition is also being held in some other African countries including Nigeria, Senegal, Mozambique and Kenya. The initiative is expected to spread to more African countries this year. UBA Ghana is a subsidiary of UBA Group, one of Africa’s leading financial institutions with operations in 20 African countries. It also has presence in the global financial centres; London – United Kingdom, New York – United States and Paris - Frnace. UBA provides banking services to more than 15 million customers globally, through diverse channels. Winner, Ariff Abdul Sabit of Presbyterian Boys Senior High School, Legon (middle), flanked from extreme left by Director of Secondary Education, Dr. Angela Tena Mensah; 1st Runner up, Manasseh Sampana Nam-Mahime of St. Thomas Aquinas High School; Honourable Deputy Minister of Education and Member of Parliament for Cape Coast, Barbara Ayisi Acher; Managing Director/CEO, UBA Ghana, Isong Udom; 2nd Runner up, Nana Adwoa Quayson of Aburi Girls Senior High; and UBA Foundation Trustee, Mary Udu Ejembi at the grand-finale of 2019 UBA Foundation National Essay Competition for Senior Secondary Schools in Ghana, held at the UBA Ghana Head Office in Accra on Monday.